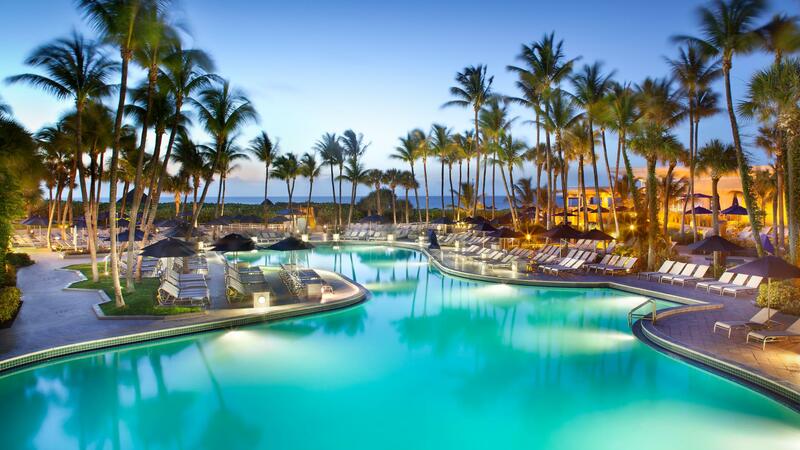 Rent Fort Lauderdale Marriott Resort & Spa | Corporate Events | Wedding Locations, Event Spaces and Party Venues. This oceanfront resort hotel and spa is 2 miles from the shops and nightclubs of Las Olas Boulevard and 4 miles from the Broward Center for the Performing Arts. The high-end rooms and suites come with flat-screen TVs, tea and coffeemakers, minibars and 24-hour room service. Wi-Fi is also available (fee). Upgraded rooms and suites have private balconies with ocean views. Suites feature additional TVs and separate living areas with pull-out sofas. The hotel has a seafood restaurant/raw bar, a casual eatery offering a breakfast buffet, and an oceanside lounge. Other amenities include indoor and outdoor pools, a spa and private beach access.